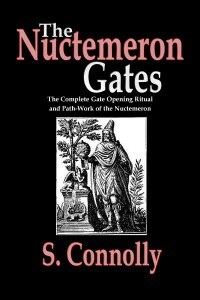 Nuctemeron Gates discusses the Nuctemeron of Apollonius of Tyana as a full path-working ritual for the adept and as a complete gate opening ritual to bring the “light of the world” manifest into the magus. Please note that this book is meant as a supplement to Infernal Colopatiron : A Manual of Daemonic Theophany. However, Infernal Colopatiron is not necessary for the practicing magician to find this chapbook useful. It can be used alone and it can be used by Daemonolaters and non-Daemonolaters alike. Currently in Paperback on Amazon and Hardcover at Lulu. eBooks are also available for NOOK and KINDLE.